Seven new Ronard satellite dish mount models are now available for purchase. 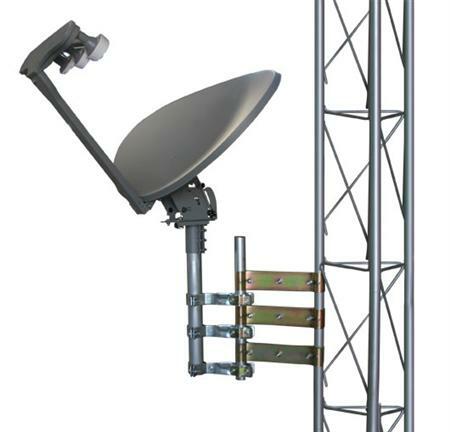 The new models are labeled as a heavier constructed set of tri-pod type mounts more suitable for installations invovling the newer, larger, heavier DIRECTV and Dish Network satellite dishes. Several variations include options for mounting on flat surfaces, peak, and/or slanted roof applications. While designed for heavier dishes, the RON1009 and RON5009 mounts can also be used for the smaller 18″ standard dishes. RON2009 – Same as RON1009, but equiped for peaked, or slanted roofs. RON6009 – Same as RON5009 but accepts the Slim Line, AT9 (AU9-S) and Super Dish.